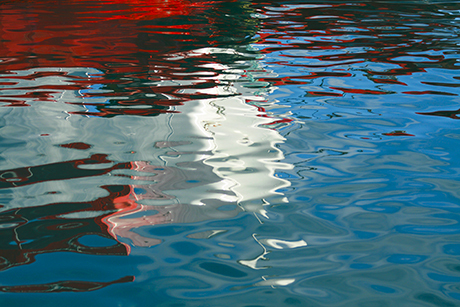 Nautical abstract artwork with ship’s reflection in bright blue, red and white colors for modern wall decor. It could be an interesting solution for decoration pool or bathroom interior. Art print from series "The Sea Loves Sails."